On this, our sixth episode, our guest is The Kingdom of Sweden. Sweden sits between Norway and Finland and is the third largest nation in the European Union by area. This Scandinavian country is home to nearly 10 million people. 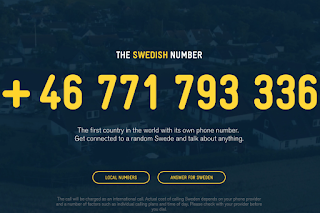 Calls via The Swedish Number may be recorded for security reasons. If someone reports a specific call, we can listen to the call and unregister any user who violates Swedish law. 1. Lots of people are calling and there is no Swede available. 2. Sweden is sleeping. We are in the GMT+2 time zone. 3. If the first Swede you are connected to is not able to answer, you will automatically be connected to another Swede and another until someone answers. 4. It’s the last day of April at 8 p.m., and all Swedes are busy watching bonfires all around the country. Sweden is in the GMT+2 time zone, you are welcome to call at anytime, but we might be asleep. How do I enter the “+” before the number? Either access the additional symbols on your phone and find the + sign, or dial 0046 instead of +46. According to the most current statistics on the website, more than 82,271 calls from 173 countries have come in since the line opened April 6, and callers have spent more than 161 days total on the phone, with two minutes and 50 seconds being the average call time. Almost a third of the calls are from America, while the United Kingdom, Turkey, The Netherlands, China, Australia and Russia round out the top seven calling countries. On a personal note, I want to thank all the Swedes who took the time to speak with with me. 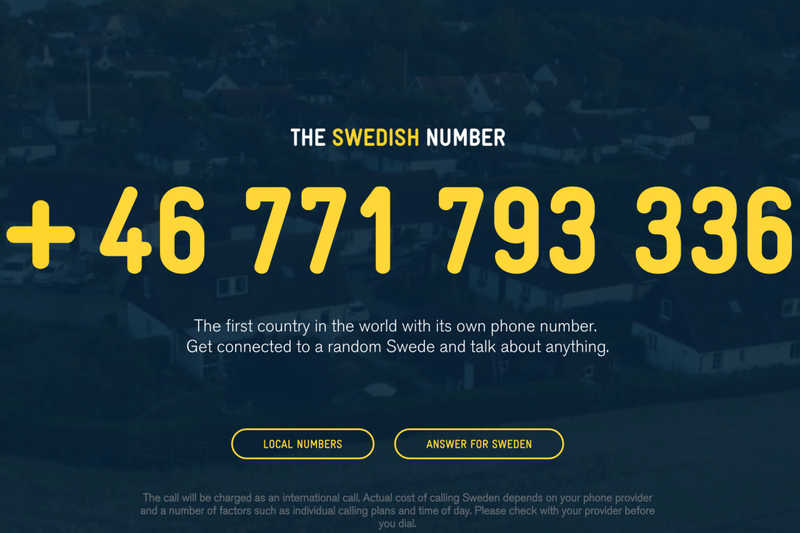 I would highly suggest calling The Swedish Number to anyone. 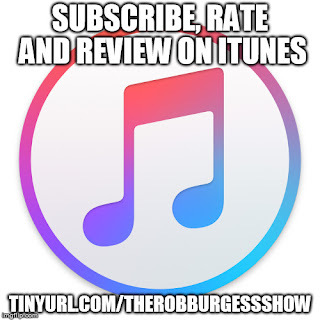 You'll hear one of the Swedes ask if I have a YouTube channel, and at the time I said “no.” Since then I've started one, which you can like and subscribe to at: tinyurl.com/therobburgessshowyoutube.